We've added good old mac and cheese to our meal plan rotation. I wasn't in the habit of making it regularly because I thought cheese and milk were expensive. I have recently figured out that milk is cheaper than I think, and if there is a good cheese deal ($4 or less for 500g), a big pan of mac and cheese is only around $4.50. Pretty cheap considering the meal lasts two days and feeds two adults. It's also enough for late night snacks too. 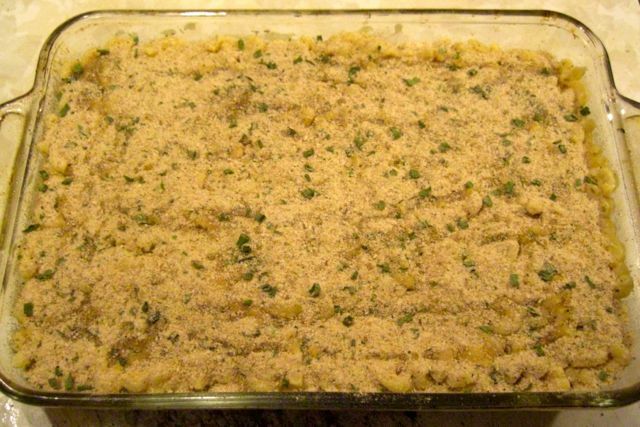 Mac and Cheese is also a great make ahead meal, either to freeze, or to make the day before if we know we won't have time to cook. I follow my Mom's recipe, which I've been eating for over 30 years now and still love. 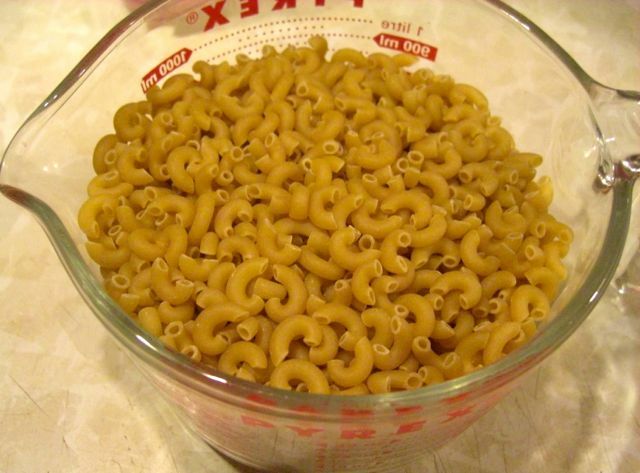 Boil macaroni until desired tenderness. Drain and set aside. 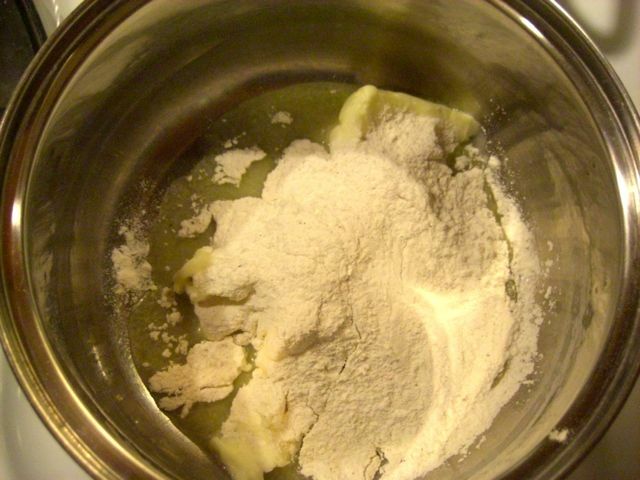 In saucepan, melt margarine with flour (mixed w/ salt and pepper) over medium heat. Stir in milk. 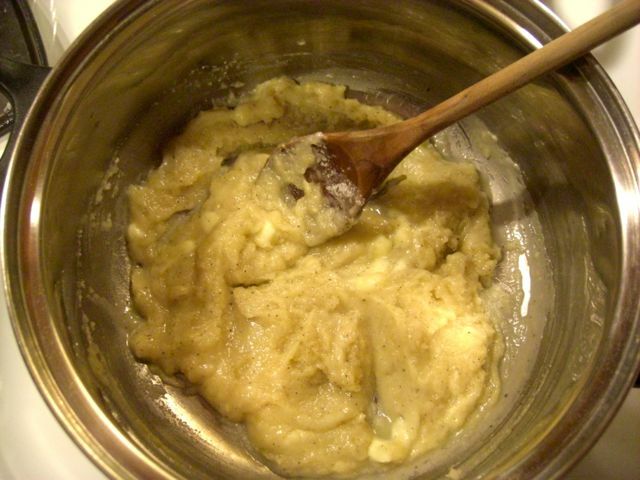 Stir constantly with whisk until thickened. 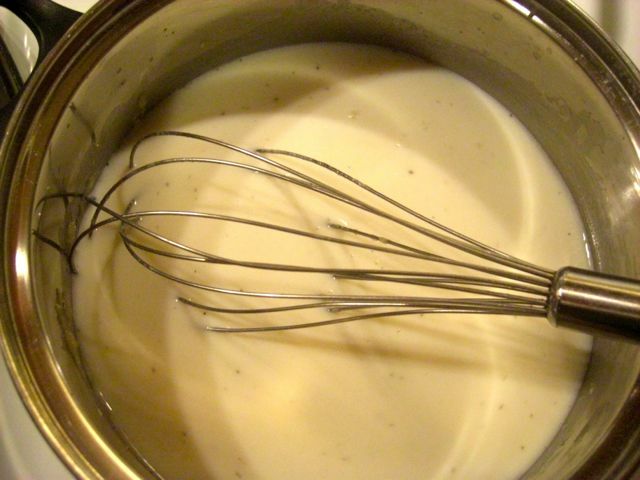 Now, here is the deal with making the sauce: it takes about 7 minutes of constant whisking. I have no problem with the stirring, but my brain likes to chime in and convince me around the 6 minute mark that the sauce isn't going to thicken. Even though it does every time. My mom says she does this too. But don't worry if it happens to you. Your sauce will work out! 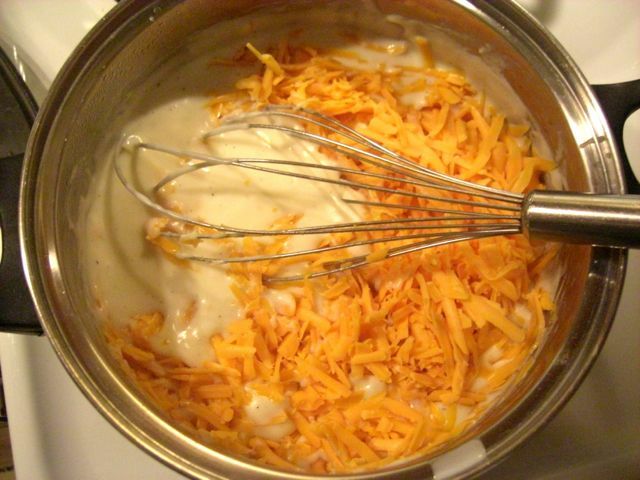 Once thickened, remove from heat and add grated cheese and stir until melted. 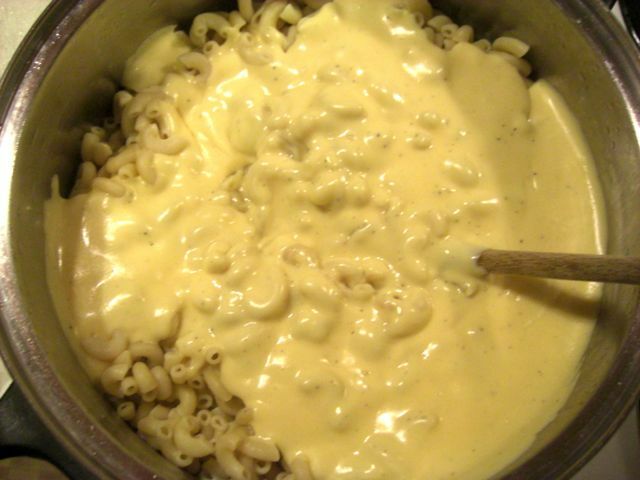 Mix macaroni with cheese sauce until completely covered. Pour into a 9x13 pan and spread out evenly. 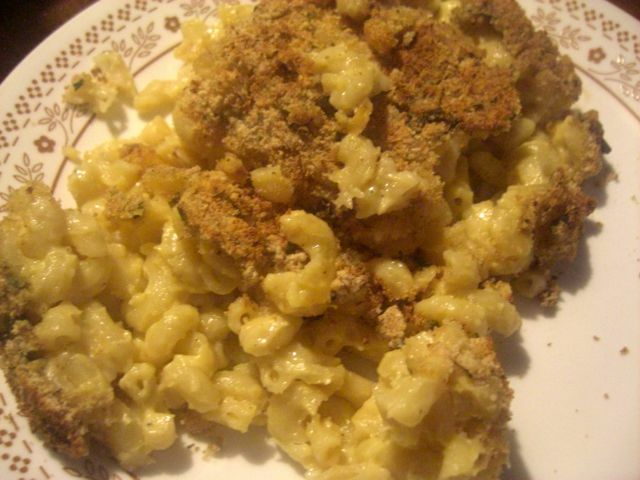 Sprinkle with bread crumbs, butter, and spices to taste. I use Bulk Barn bread crumbs, but when mom makes this, she uses bread crumbs from actual bread. That she made herself. I was lucky growing up, eh? 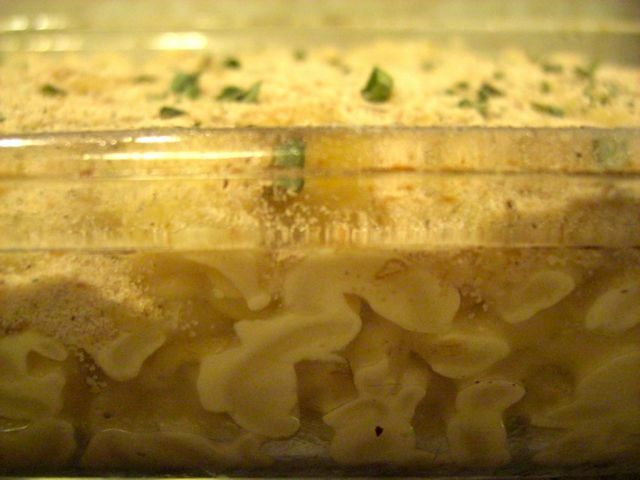 My store bought bread crumbs do the job, but mom's mac in cheese is just fantastic. Bake in oven for 30 minutes at 350°F. And enjoy! Sometimes when I get it on my plate I smother it with Franks Red Hot. Pretty tasty. 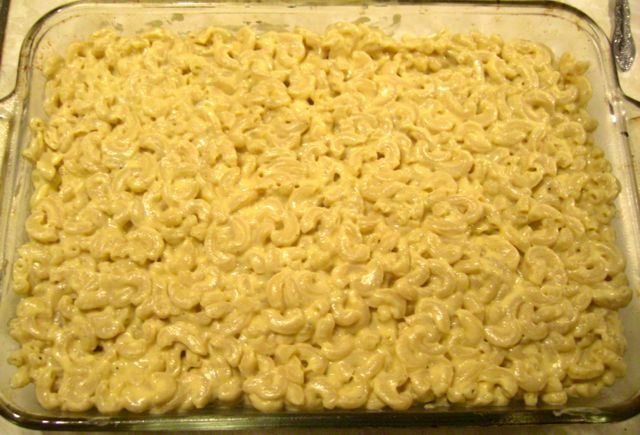 Looks real similar to the mac & cheese I used to make (I think my recipe is from Betty Crocker, though). I love homemade mac & cheese. Probably too much! Hmmm... now I'm thinking I might want to make that next weekend. Heck, why not? I love my mom's mac and cheese as well. So fun. PS: I made a cheesey orzo over the weekend. Sounds good! I love anything that is cheesy (even movies!). Ha! We love cheesey movies as well. Congrats on the 28 Day Reboot. I don't see a post about it but wanted to say, holy cow, did that go fast or what? My goodness. Thanks so much for the congrats! 4 weeks down and 4 more weeks scheduled. It did go really fast! So fast, I only just got my post about it done. It's up now. Are you going for 28 more days? I am set to continue moving forward. Having bunches of fun along the way, as well. It's pretty cool stuff. What I find now is that after the first 28 days, it's just become normal life again. I realized this, the first day of my second round. Things just keep moving forward. That being said, I like to get to end of four weeks and look at how far things have come. Or perhaps, not come. As I'm still not strong enough for daily walking. I also use weeks as a cage, like I do with my Chubba Bubba Reports. It's rather fun having a blog. It is rather fun having a blog. :) I really love your outlook on the 28 day reboot. I feel the same. I like having the goal because it keeps in my mind I'm still working towards something, but I kind of just walk every day now. It's just normal now. I like that. It will be interesting to me to see how you feel going into it a second time. I found the my second reboot wasn't challenging, as I'd already made things into a lifestyle change. Only it wasn't until I started the second 28 days, that I realized it wasn't a challenge anymore. If that makes sense. Hey, we just got back from Tim Horton's where they serve ice cream. They have a small cafe open 24/7. Tim wrote and I put coupons in my binder. Fun stuff. We shared a small Cookie Doughya Want Some. But the apple pie one is real good too. YUM. Waiting for them to have a pumpkin one. I'm going to have to make this one. And it the kids don't like it, more for me! This stuff is great! And if they don't like it, just put whatever condiment they do like on it. I love this stuff. I also love that it lasts a few days. Re-heating is a favourite of mine.